Bunaíodh Mistéalaigh Chaisleán an Bharraigh, Cumann Lúthcleas Gael ar an 11ú Nollaig 1885, an chéad chlub C.L.G. i Muigheo. Tógadh an t-ainm ó John Mitchel, Young Irelander/ Éireannach Óg, a díbríodh go Tasmania in 1848 taréis dó a bheith ciontaithe i dtréas. 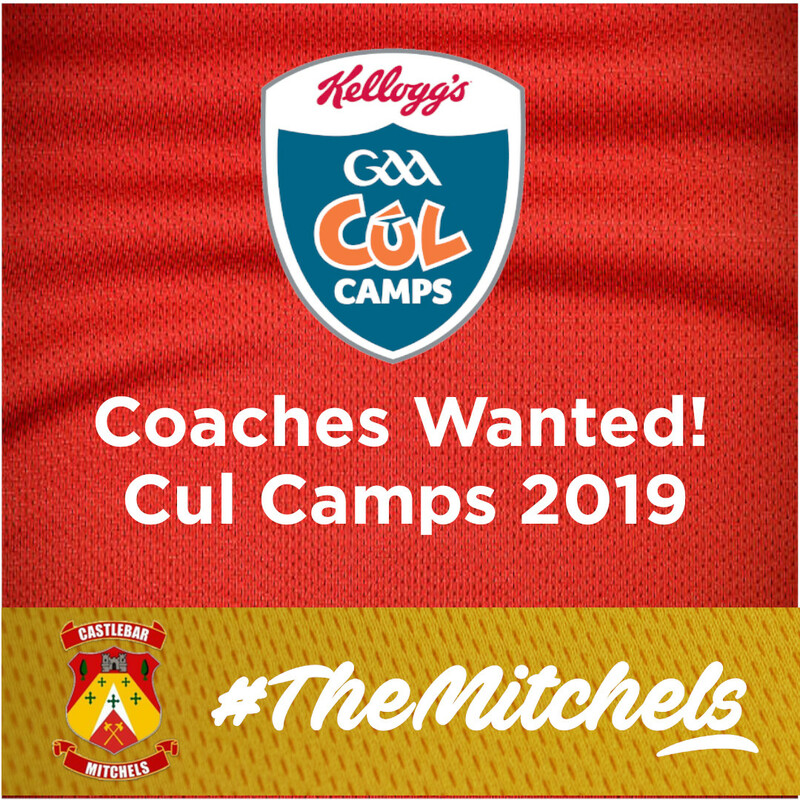 Ar dtús, b’iad glas agus buí dathanna an chlub, agus bhí idir 16 agus 22 imreoir ar na foirne sna cluichí. Bhuaigh na Mistéalaigh a gcéad cluiche ceannais sinsir Mhaigheo in1888, agus an chéad teideal eile in 1903. Bhí orthu fanacht go1930 don tríú bhua. Rud suimiúil: bhuaigh na Mistéalaigh níos mó teidil san iomáint (5) ná sa pheil in a gcéad 40 bliain. Ceannaíodh an talamh ina bhfuil Páirc Mhic Éil faoi láthair sna 1920idí, agus osclaíodh an pháirc go h-oifigiúil ar an 24ú Bealtaine, 1931. Bhí ceathrar imreoirí as na Mistéalaigh ar fhoireann mhíonúir Mhaigheo a bhuaigh cluiche ceannais na h-Éireann don chéad uair i 1935. Nuair a bhuaigh foireann shinsir Mhaigheo craobh na h-Éireann don chéad uair i 1936, bhí seachtar de na Mistéalaigh ann. Agus nuair a bhuaigh said arís i 1950-51, bhí ceathrar ann. Bhuaigh na Mistéalaigh trí theideal Mhaigheo i ndiaidh a chéile idir 1930 agus 1932, agus an rud céanna ó 1940 go 1946. B’iad na 1950adaí an Ré Órga nuair a bhuaigh said seacht dteideal shinsireacha. B’iad na Mistéalaigh an chéad chlub CLG in Éirinn a d’eitil go Meiriceá in 1960, agus bhain said an-taitneamh as an turas agus as na gcluichí i Chicago. Timpeall an ama céanna, tháinig athbheochaint ar an iomáint, an chamógaíocht agus an liathróid láimhe sa chlub. I 1971, bunaíodh Bord na n-Óg sa chlub. I 1978, tógadh An Spórtlann, foirgneamh na Mistéalach. Bhí imreoirí na Mistéalach ar na foirne Mhaigheo a bhuaigh teidil náisiúnta mionúir i 1971 agus 1985, agus teidil faoi-21 i 1983. Faoi láthair (2018), is iad na Mistéalaigh curaithe Mhaigheo sna comórtais faoi-14, faoi-16 agus sinsir. San iomlán,tá 31 teideal shinsireacha acu. Níos déanaí, bhí an bua acu i 2013 agus arís ó 2015-2017. Bhuaigh said craobh Chonnacht ceithre huaire, agus shroich said cluiche ceannais na h-Éireann trí huaire (1993, 2013 agus 2016), ach níor éirigh leo an bua a fháil - go foill! Faoi-aois, bhuaigh siad teidil náisiúnta sna Community Games i 1996, agus san bhFéile i 1999 agus 2016. Le chéile, tá 10 dteideal Mhaigheo faoi-14, 13 faoi-16, 18 míonúir, agus naoi faoi-21 ag na Mistéalaigh. Tá trí theideal Sóisireacha condae agus ceann amháin Idirmheánach acu. Mar sin, tá ag éirí go maith le foirne an chlub, idir óg agus aosta. Tá spiorad láidir ins an gclub - ar an bpáirc agus lasmuigh de- mar a bhí tríd na blianta. Caithfimid leanacht leis. ‘Ní neart go cur le chéile’. Na Mistéalaigh ar aghaidh! Mistéalaigh Abú! This brief history of the club was compiled with the help of club man Jerry Henry. The club's history, with 130 years in the making, would fill a book - and indeed it has. 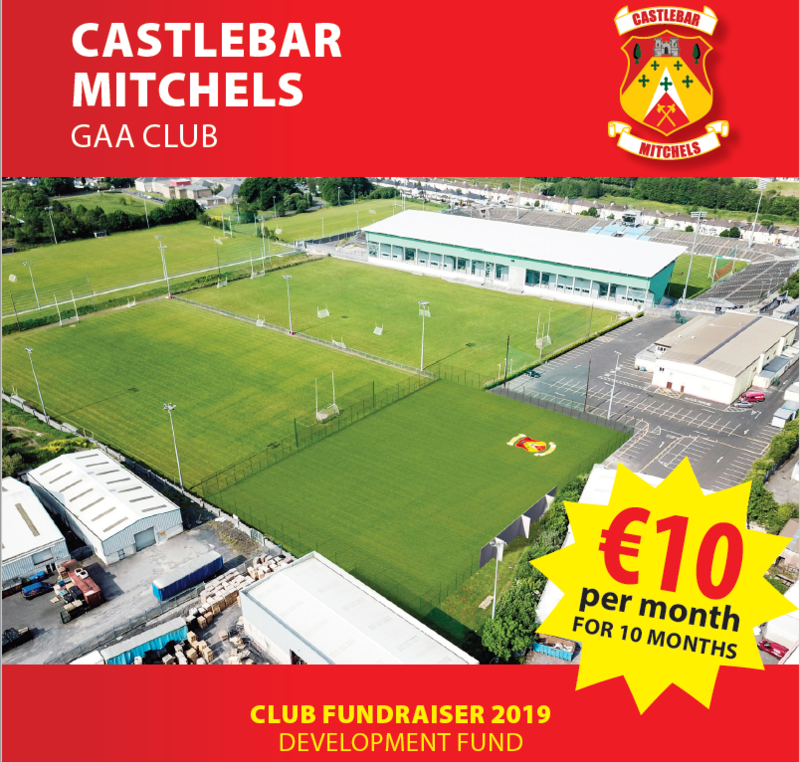 However, great thanks is due to Jerry for his synopsis of this history into the following list of key milestones and bullet points which we hope will give the reader a good over-view of the significant and proud history of Castlebar Mitchels GAA Club. * The title used for the first chairman of the club was "captain"
* The search to acquire their own playing area ended in the late 1920's when the grounds now known as McHale Road were purchased. * Four Mitchels players, Tommy Byrne, Eamon Mongey, Mick Flanagan and Peter Solan (Peter a native of Islandeady), played pivotal roles as Mayo won back to back All-Ireland senior football titles in 1950 and 1951. * In 1961 one of the greatest all time Mitchels players, double All-Ireland winner Mick Flanagan died at the age of 32.